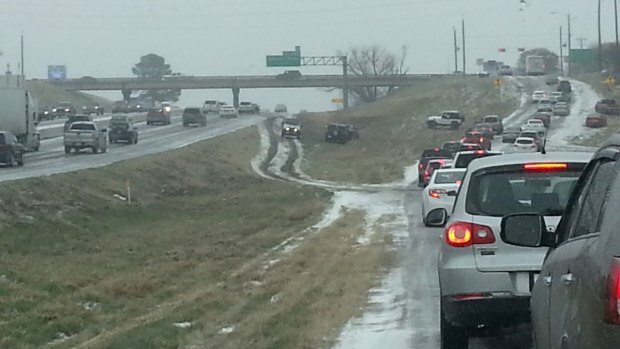 Cold air and icy conditions took over North Texas roadways Sunday. In Dallas, the Department of Street Services began sanding operations and upgraded to Ice Force Level Two Sunday evening. The department said they will have more than 50 sand trucks and 125 employees working "due to the increased icy conditions and freezing temperatures." Ryan Lafontaine from the Texas Department of Transportation said they are watching street conditions and have 300 sand trucks on standby. Helpful diving precaution tips can be found on their website. 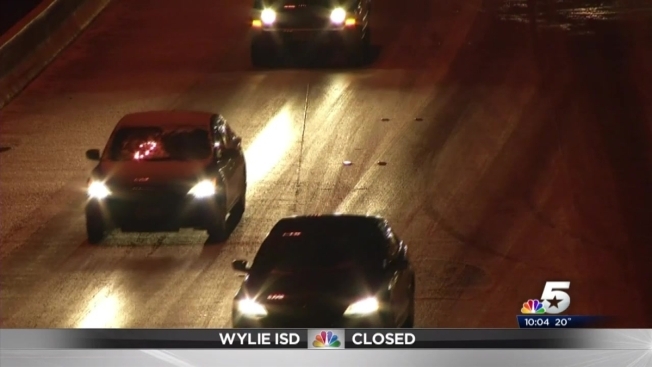 The North Texas Tollway Authority is using Melt Down 20 on bridges and overpasses where there are slick spots, according to NTTA spokesman Michael Rey. More than two doezn trucks are on standby to dispatch to problem areas and the NTTA said it is doing full treatment of the Lake Lewisville toll bridge with MD-20 as well. Freezing temperatures and a wintry mix created dangerous driving conditions across North Texas and caused delays and cancellations at the airports. The Dallas Police Department reported officers responded to more than 100 injury wrecks and more than 70 minor wrecks. The Fort Worth Police Department said it had worked 92 crashes, but didn't offer any other specifics. This wintry weather will not only affect roads but airports as well. As of 9:45 p.m. Dallas-Fort Worth International Airport said airlines canceled more than 300 departures and more than 300 arrivals Sunday because of the storm. Dallas Love Field reported only 57 delays and 13 cancellations. Texas is no stranger to winter storms, but the weather service said this winter is considered the 20th coldest on record. A Wind Chill Advisory is in effect until 8 a.m. Monday because of much colder weather, including sub-zero wind chills overnight Monday.